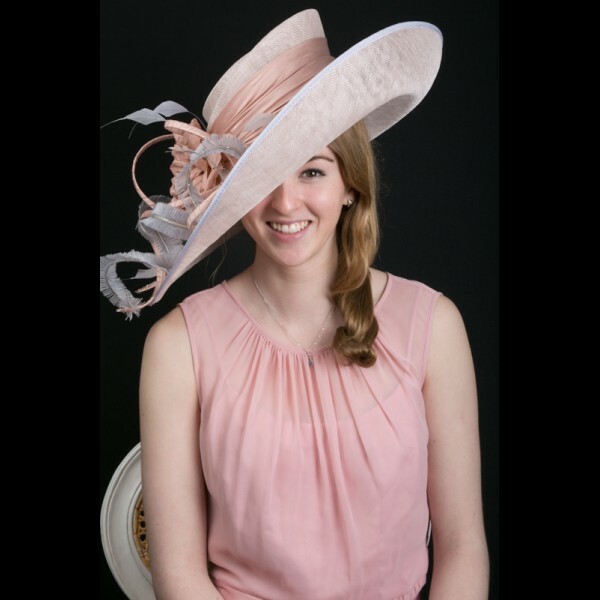 Soft colouring makes this wide brimmed hat in Dove Grey and Pink very feminine. 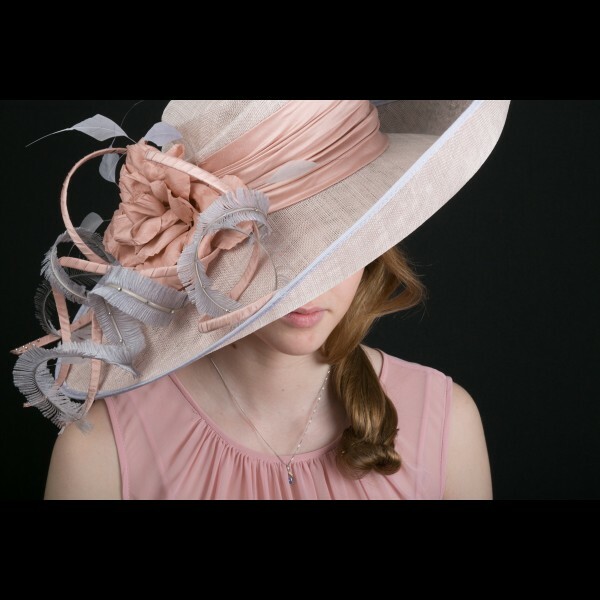 This hat is just so delicately soft in colour ! 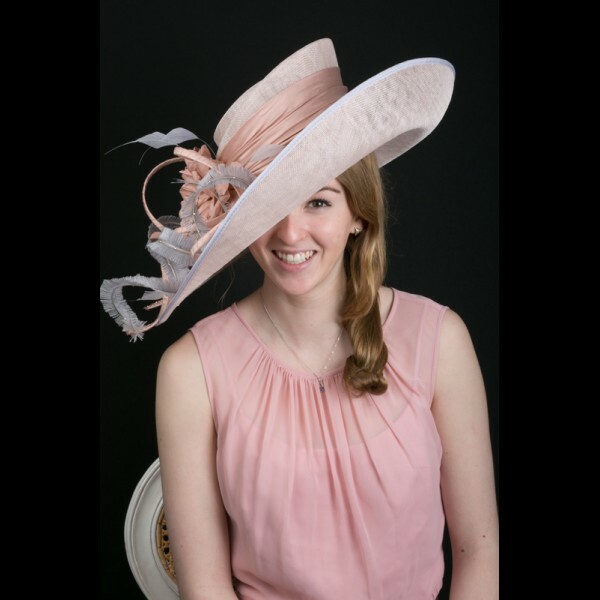 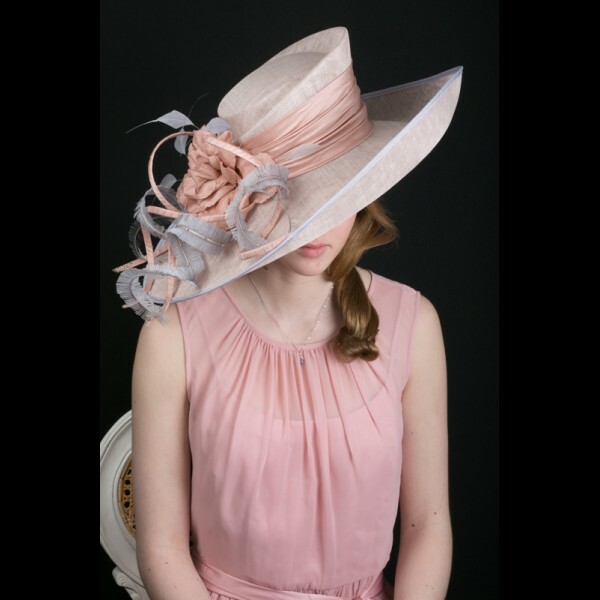 Dove Grey and Pink are combined to create this wide brimmed hat. 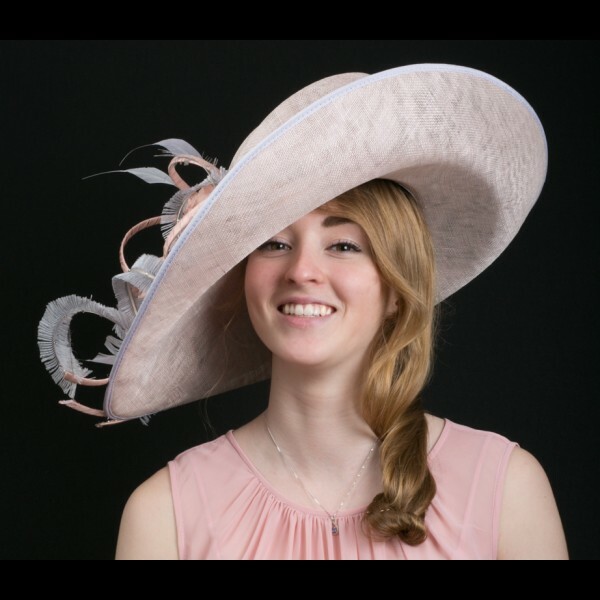 The wide upturned brim measures approximately 50cm from side to side and 45cm front to back. 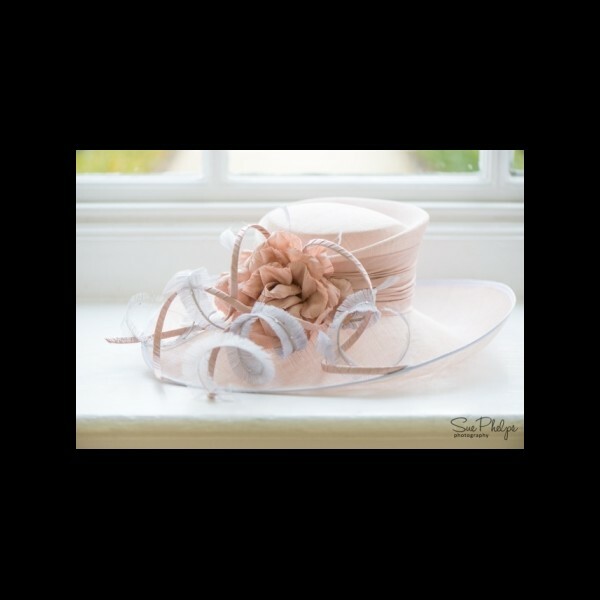 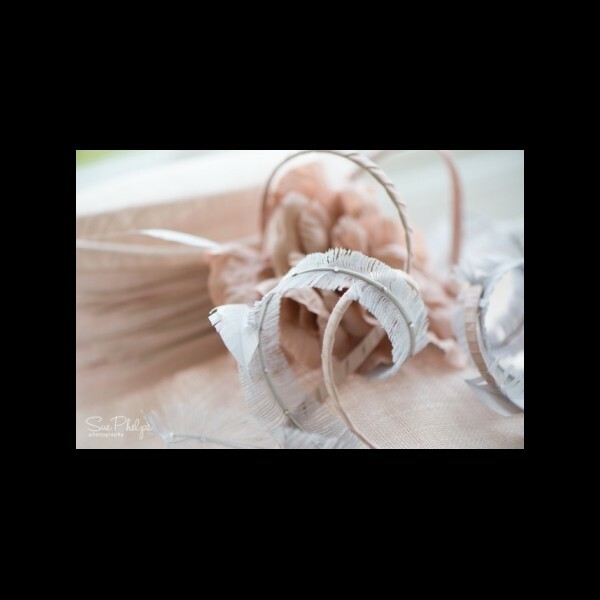 The cuffed crown is wrapped in ruched pink silk, with hand-tooled silk flowers to the right hand side. 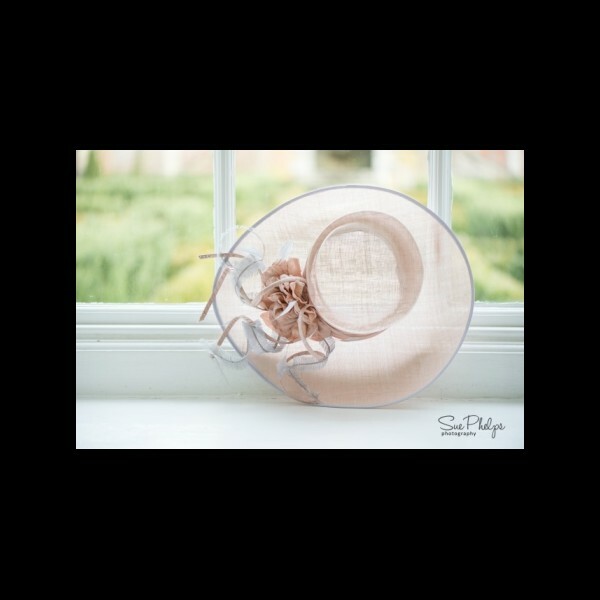 Matching silk wrapped loops and hand trimmed and curled ostrich feathers complete the hat. 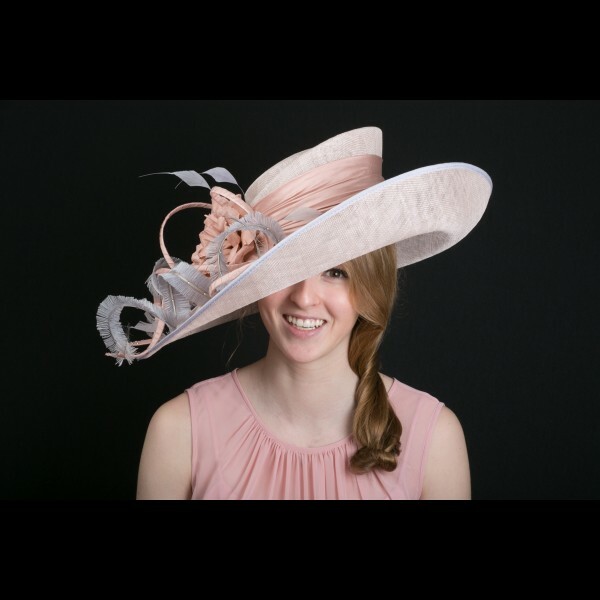 The price quoted is for the purchase of the hat, excluding postage.